Caribbean Luxury Rentals, a leader in luxury travel and excursions in Puerto Rico, is celebrating ten years of welcoming visitors and guests to its first rental property, Villa Tuscany in Puerto Rico. To celebrate the occasion Diana Norniella-Burke, part-owner and operator, teamed up with local artist Jonathan Meléndez of Airtistry, brand consultant Julián Falgóns with JF Representation, and spoke with various family members to create a marketing campaign highlighting the magic felt and shared by guests and employees alike. The collaboration of Airtistry with Caribbean Luxury Rentals lead to the creation of two videos. The first video commemorates ten years of serving guests at one of Puerto Rico’s premier properties, Villa Tuscany. The second features the most popular and repeated visitor add-on, the private chef service provided by local “In House Chef” José. Both videos can be found on their respective pages on Caribbean Luxury Rentals’ website and will also be distributed through their social media channels during the coming weeks. Working with family members and Julián, Diana created a timeline of events that lead up to the construction of Villa Tuscany. Her father and co-owner, Jesús Norniella, fled Cuba to Puerto Rico in the 1960’s. In a short period of time he created his own millwork business and would go on to be involved in some of the most extravagant wood projects in the Caribbean, including Necker Island & the Ritz Carlton Dorado Beach. You can read more about his story, other projects, and how Villa Tuscany came to exist on the History of Caribbean Luxury Rentals page. Caribbean Luxury Rentals has been working on increasing and improving engagement. Responding to feedback they created and formally introduced their Puerto Rico All-Inclusive deals as well as excursion packages. During the last year they also began distributing a newsletter containing special offers as well as increasing the frequency in which they engage and post on Instagram and Facebook. Caribbean Luxury Rentals is planning its first yoga and mindfulness retreat for early 2018. Diana encourages potential guests that would like to remain informed as this evolves to sign up for Caribbean Luxury Rental’s newsletter where information and special offers are shared first. 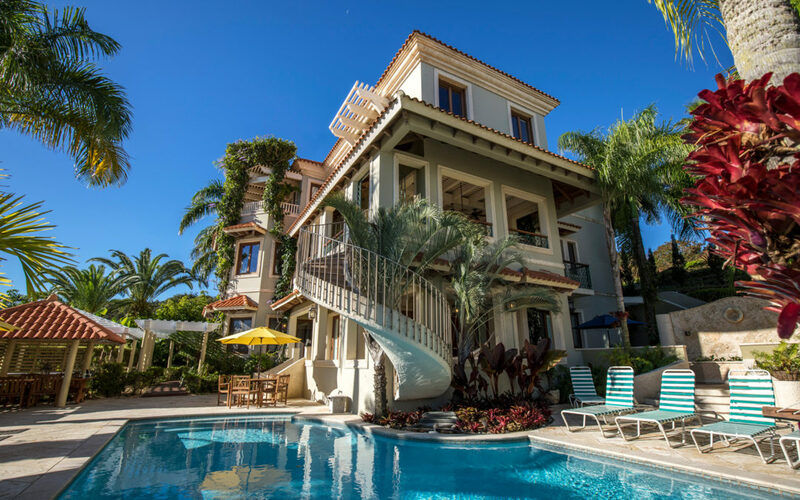 Caribbean Luxury Rentals is a luxury vacation agency based in Coral Gables, Florida representing extravagant vacation properties inside of the Wyndham Grand Rio Mar Beach resort and Spa in Rio Grande Puerto Rico. For reservations or more information contact Diana Norniella via email Diana(at)caribbeanluxuryrentals(dot)com or by calling 305-790-6619.